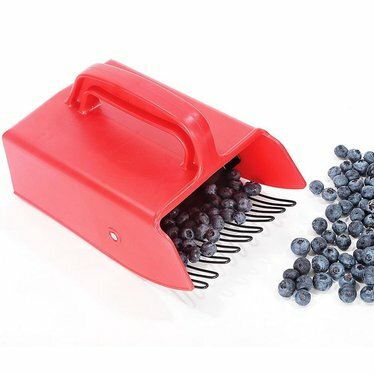 Pick small berries like blueberries much faster with this cleverly designed picker. Sweep the comb up onto the berries from underneath, then gently tip your hand back to deposit berries into the basket. When it's full, turn picker over and pour the contents into a larger container. 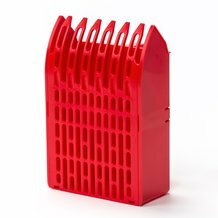 Large Berry Picker-Great for picking large amounts of berries. Has a wire comb. 9"L, berry opening 5-3/8"W. China. Junior Berry Picker-Its smaller size is great for children. Has plastic comb. 6-1⁄8"L, opening 4"L. Sweden. Berry Picker Pick small berries like blueberries much faster with this cleverly designed picker. Sweep the comb up onto the berries from underneath, then gently tip your hand back to deposit berries into the basket. When it's full, turn picker over and pour the contents into a larger container. 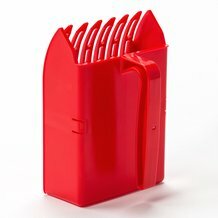 These are the fastest and most convenient way i have found to pick currants, elder berries, chokecherries, and blue berries. They are extremely well made. I would highly recommend them.